as well as its other mascot buddies within an personalized Olympics Souvenir Sheet. The central perforated part is without denomination, and therfore is only a vignette and not a genuine kite stamp. 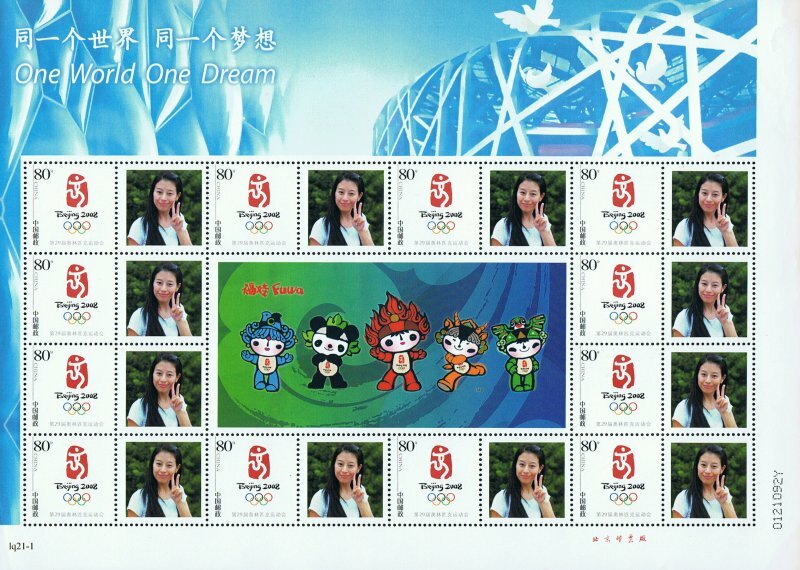 The only postal stamp is the 80-Fen stamp with the official logo of the 2008 BeiJing Olympics.